A recent article posted on TIA website presented the traditional Church teaching on original sin and showed the seriousness of the progressivist denial of the Genesis account. It also pointed to the progressivist eagerness to adapt to Evolutionism as the central tendency behind this denial. If one accepts universal evolution, one must reject the Catholic teaching on creation, God, evil, original sin, the Cross, and the Redemption. In another work, he clearly states the consequences of the evolution he proposes: “Creation, spirit, evil, God – and more specifically, original sin, the Cross, the Resurrection, the Paroussia, charity – all these notions once they are transposed to a ‘genesis’ dimension become amazingly clear and coherent.”(2) By genesis he meant evolution. 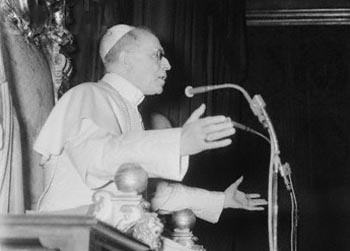 Second, Pius XII stated that nothing in Catholic doctrine is contradicted by a theory that suggests one species might evolve into another, even if that species is man. (10) This statement of Pius XII initiated the escalation of the acceptance of evolution in the Church. We see, therefore, that the censures against the evolutionary theories were not enough to halt its dissemination. Pius XII opened doors to them, the Council accepted them and incorporated them in one of its principal documents, and Paul VI started a public consecration of Fr. 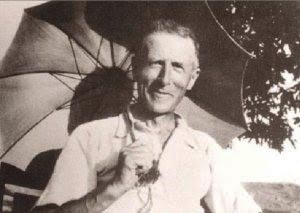 Teilhard de Chardin. What had been condemned for most just reasons and for the preservation of the Catholic Faith, became accepted without correcting any of its previous errors. The tragic thing is that the Popes following Paul VI continued on the same path, praising the pantheist theologian and promoting evolutionism. This is what we will analyze in the next article. 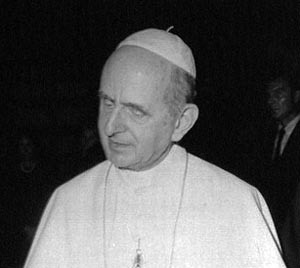 Paul VI, Speech to Employers and Workers of a Pharmacy Company, February 24, 1966, in Insegnamenti di Paolo VI, Poliglotta Vaticana, 1966, pp. 992-93).